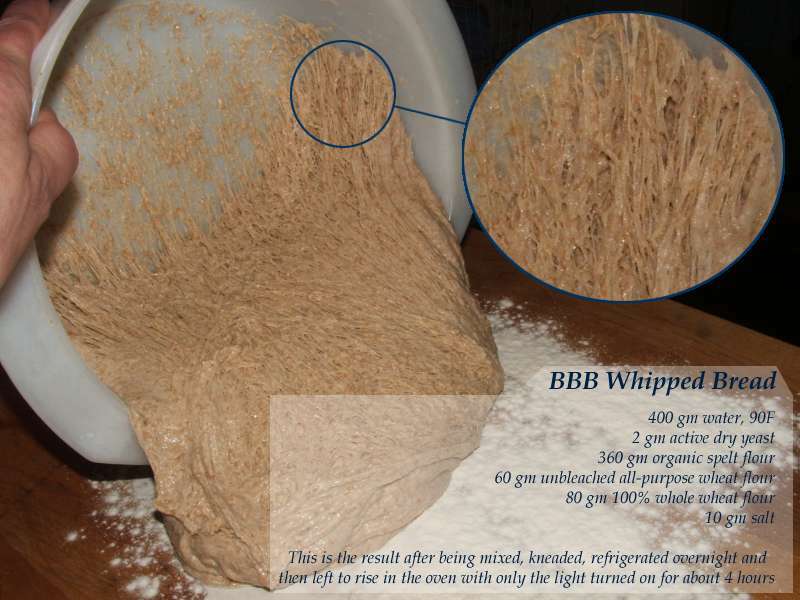 This month's BBB recipe is a no-knead spelt flour bread that is mixed in the evening by whipping it in an electric mixer, then refrigerated overnight and shaped and baked the next day. But we don't have an electric mixer.... 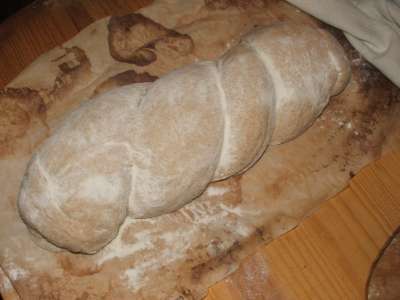 So I mixed and hand-kneaded the rather slack dough in the evening and then followed the rest of the instructions. 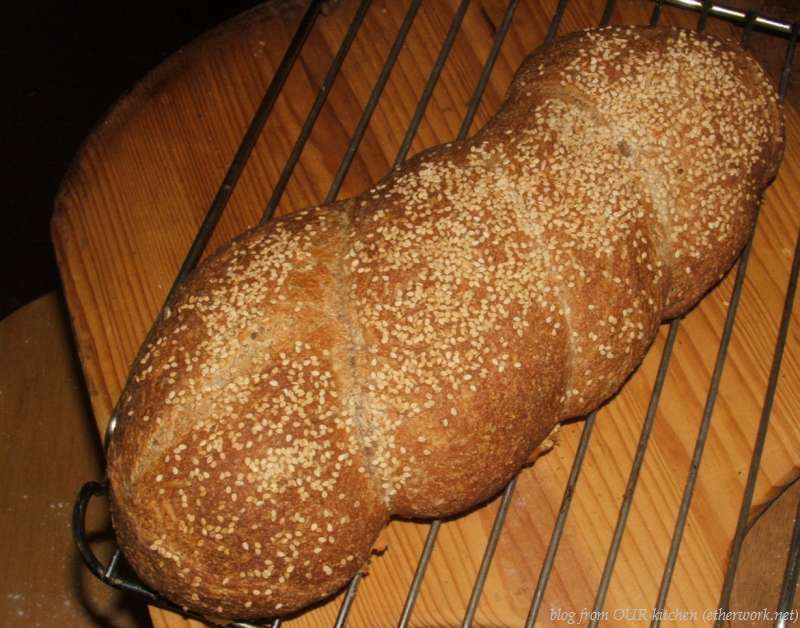 The gluten strands with spelt flour dough are amazingly defined. 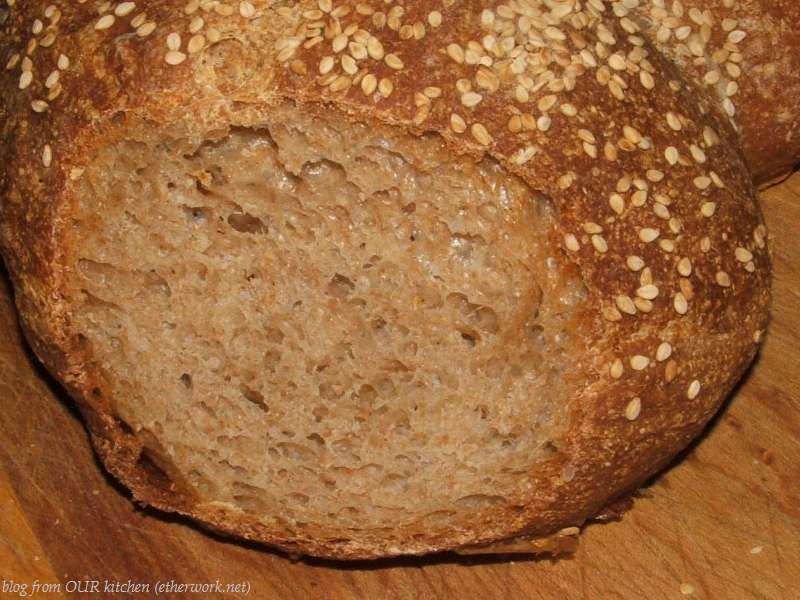 The dough was quite slack and in spite of being proofed in an unwashed bowl, fell out of the bowl with the barest nudge of a finger. 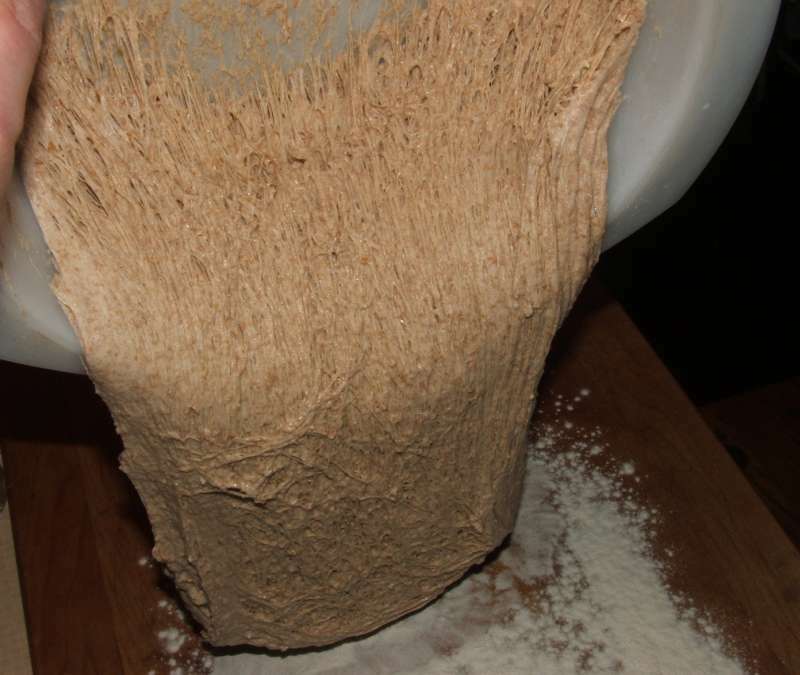 Even though the dough was a little floppy, shaping the bread was a breeze. It took no time to double. 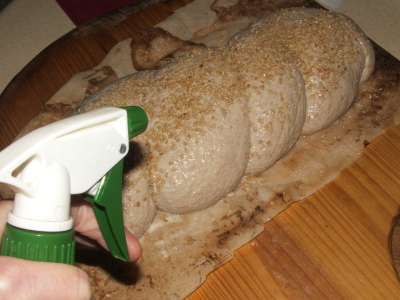 Just before baking it, I sprayed it liberally with water and at the last minute, suddenly decided to sprinkle some sesame seeds overtop and sprayed it one more time for good measure. Once it was completely cooled, we sliced into it. 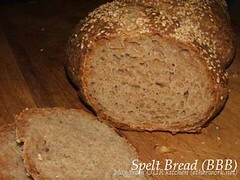 It was fragrant and lovely, in spite of its decided whole grain aspect. 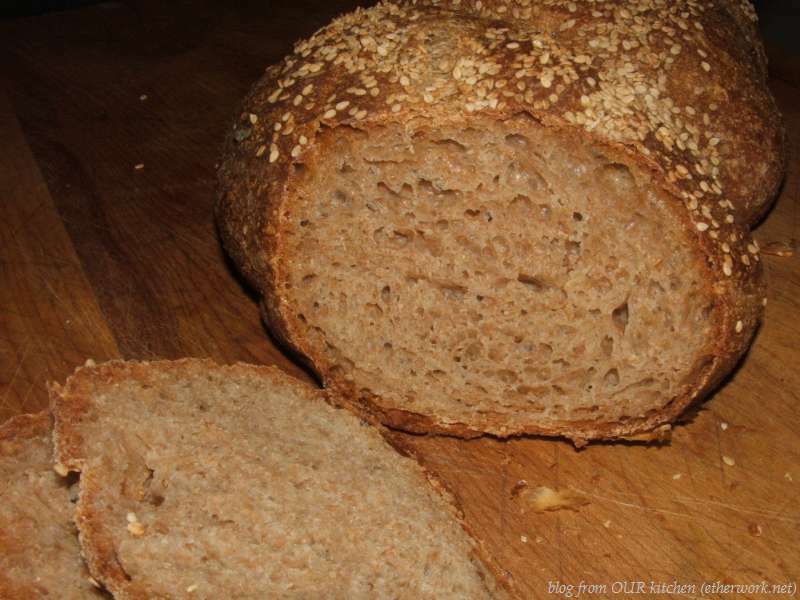 I love it when the holes in the crumb are shiny like this.